If you car shakes when accelerating, it could be the result of various issues. Often, the cause of the vibrations is a fairly simple issue that is actually a warning sign of a much bigger (and more expensive) failure if not fixed soon enough. A car shaking when driving can often mean something different than a car that vibrates when stopped so you’ll want to pay attention to when the shakes are happening. Is it only at idle? Does the vehicle only vibrate at low speeds, high speeds, or a constant speed? If your car only shakes while braking, the cause could also be different. So how do what area you should look at when first diagnosing the issue? Keep reading to find out. CV joints are located at the end of each axle. There is both an outer and inner joint. 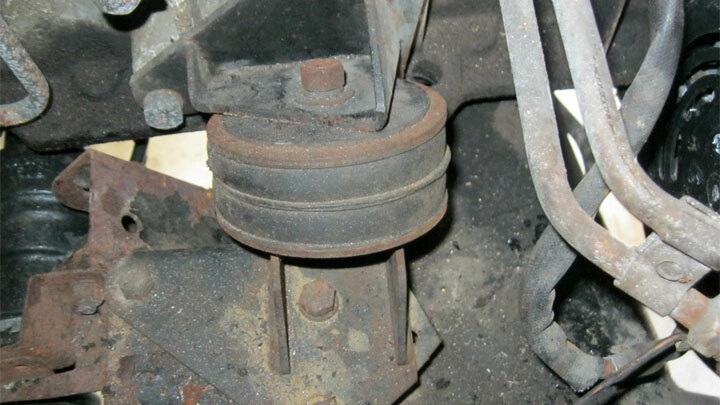 When the inner CV joint is damaged or begins to fail, you will notice your car vibrating under hard acceleration. As it gets worse, the minor vibrations turn to violent shaking when under load. 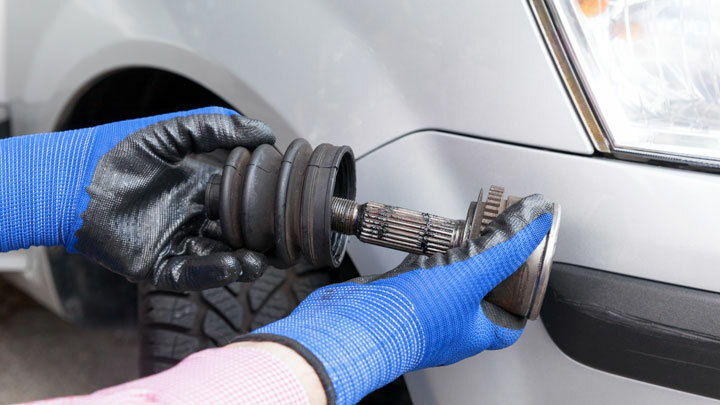 Damaged CV joints usually occur because of a tear in the joint boot. When this happens, water and dirt get inside the boot and contaminate the grease that protects the splines inside. Without proper lubrication, the metal on metal contact eventually causes failure. The only fix is to completely replace the CV joint. 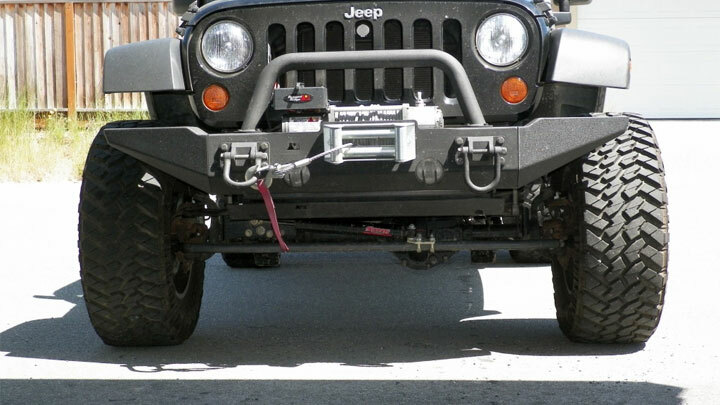 The main purpose of motor mounts is to attach a car’s engine to the frame of the vehicle. A secondary purpose is to dampen or reduce engine vibration so the occupants of the car don’t feel the constant shaking or vibrating of the engine while it’s running. Engine mounts are made of a hard rubber material which allows them to absorb these vibrations. When a motor mount is damaged or broken, not only will you feel excess vibration in the car, other parts in the engine can get misaligned and ultimately break since the engine is not in its precise location. You will be able to feel a bad motor mount when idling but the shaking can be more obvious under acceleration as the engine has to work hard. Replacing a bad motor mount should stop the vibrations. Keep in mind that when a motor mount is broken, the other mounts now bear more of the load and are more likely to fail as well. If you recently had new tires installed and notice your car shaking while driving, it may be the result of unbalanced tires. When at tire is mounted on a wheel, it will never have the exact same weight all the way around. 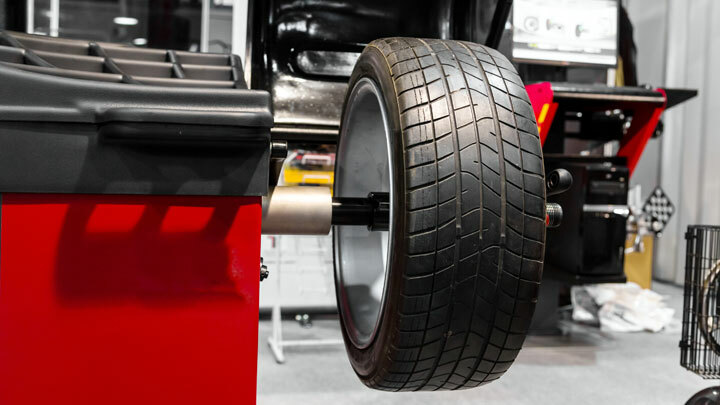 To fix this, a tire installer will mount the tire/wheel assembly on a balancing machine and stick on small wheel weights to the rim at specific locations to make the balance perfect. As a tire rotates, any slight weight imbalance will turn into a small vibration. At higher speeds where the tire is rotating much faster, the vibration will be more noticeable and your steering wheel will actually shake. If your car vibrates while at a constant speed and is worse at higher speeds, you may have an unbalanced tire(s). It’s also possible one of the adhesive wheel weights simply fell off. To fix, simply take your car back to the tire shop to have them rebalance the tires. A simple problem (more common than you think) that could become catastrophic. If the lug nuts on a wheel were not properly torqued down on the hub and some loosened over time, the wheel would have a slight wobble to it. While driving, this would make it seem like the car was shaking. If left untightened, the lugs could eventually loosen all the way out and your wheel could actually fall off while driving. Suffice to say, you don’t want that happening. If your car has rear wheel drive (RWD), power from the engine to the rear axle and connected wheels is delivered through the driveshaft (or propeller shaft). 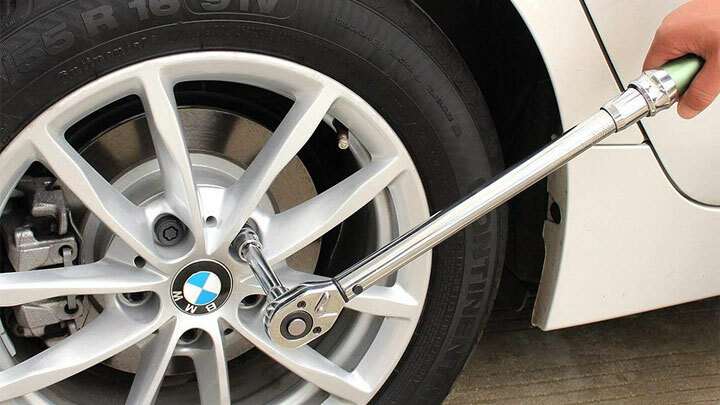 Therefore, if the driveshaft is even slightly bent or damaged (often due to an accident), it will cause the car to shake when accelerating at low speed and get worse as you go faster. Since you normally can’t repair a driveshaft, replacing it is the only option. If you accidentally drive curb, large rock, or have some kind of minor accident, don’t assume everything is fine if you don’t see any noticeable damage. The incident could have caused an axle to get bent, which is serious. You will start noticing vibrations coming from the car which starts to get worse as you accelerate the car. 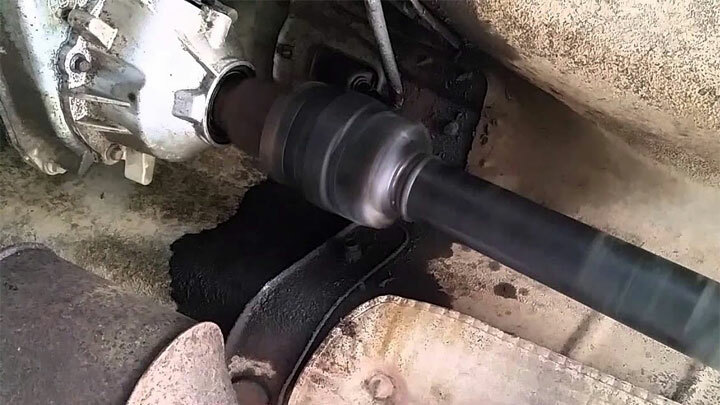 Similar to the driveshaft, you will need to replace a bent axle immediately or risk causing further damage. 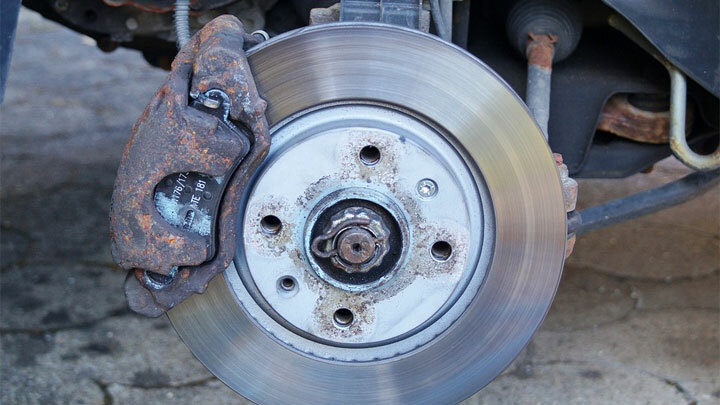 If the brake caliper on a wheel is faulty and causing it to stick, then it can cause car vibrations. In this particular situation, the steering wheel will be what vibrates as you reach about 40-50 miles per hour. The vibrations will get worse as you continue to accelerate at higher speeds. When you come to a stop, you will likely notice a burning-like odor coming from the vehicle. If you suspect a stuck brake caliper, you should be able to figure out which wheel it’s at using your nose due to the smell. You will need to inspect all parts of the brake system there paying particular attention to the caliper bolts, slides, and piston. Sometimes cleaning and re-lubricating the parts is all that’s needed but failed brake components will need to be replaced. This common problem can cause severe shaking or shuttering of a car while driving. If a vacuum hose becomes disconnected or develops an air leak due to a small tear, the lack of air pressure can cause various sensors to get confused which in turn can lead to misfires, backfires, losing power, and other problems where the engine doesn’t run smoothly. Inspect all hoses to make sure they are connected to somewhere and they have not tears or cracks in them. You may need to use a small clamp to reattach hoses that are too loose on the fitting. 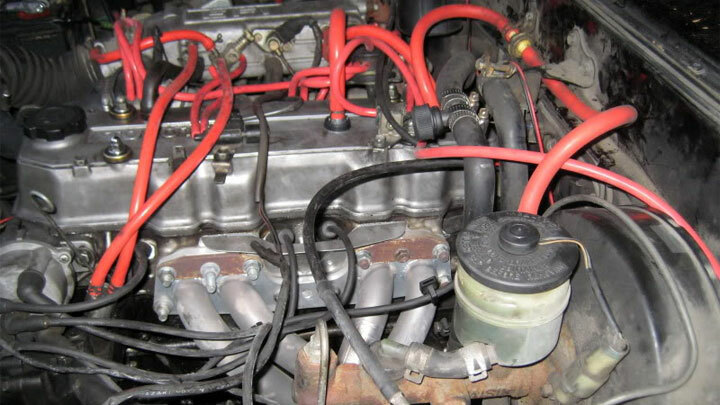 Vacuum hoses on turbocharged cars are even more prone to disconnecting. Replacing with stronger silicone hoses is commonly done as a permanent solution. 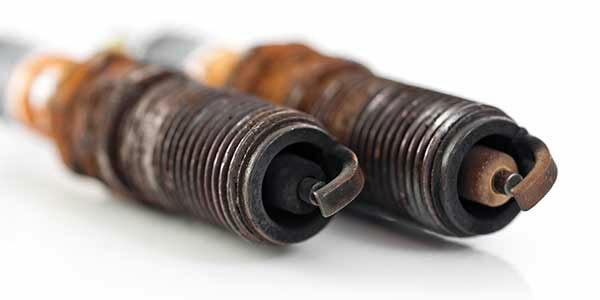 Spark plugs that are dirty or fouled up can cause the engine to misfire. While the problem is usually first noticed when at a stop, it may also make it seem like the car is vibrating when driving. If you don’t remember the last time you replaced your spark plugs, it may be time to do so. If you remove one and notice a bunch of dark buildup on the tip, there’s good chance the rest of your spark plugs are bad as well.